When the Winter comes, and our gardens are at rest and the grocery store prices for fresh herbs triples, there is a way to still have that fresh herb taste using dried herbs with this five-minute trick. Measure out the herbs you are planning to use in your recipe and place in a dish. Heat a frying pan over medium heat. Drop a couple of drops of water into the pan. When the water steams off quickly, your frying pan is at the right temperature. Add the measured herbs into the pan, followed by 2 tablespoons of olive oil and stir in oil. You may need to add small amounts of oil to find a perfect mix of oil. Do this while the pan is warm as you do not want to add to much oil to your recipe. Each time you do this, you will find that you will need different amounts of oil depending on how much herbs you are using and what type, as some herbs will absorb the oil faster and in more dense amounts. But always start with two tablespoons to not over oil your recipe. 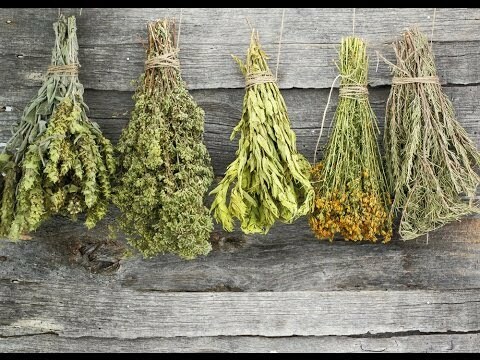 Keep stirring your herbs to warm and allow them to absorb the oil to infuse, but do not allow to brown. When all the oil is absorbed and creates a paste texture, they are ready to add to your recipe. You can find more helpful hints on my Blog and in my cookbook, The Cottage CookBook.